VanillaHouse has been on Florida for as long as I can remember...what is some of the history behind the business? Yes! Vanilla House has been on Florida road for a long time, almost 10 years. The previous owner had a huge reputation regarding her good eye for new gift trends and one off pieces. During May last year, after almost 10 years of trading she decided it was time for her to retire, and enjoy her grandkids. That was when I came onto scene, at that time I was working for Fresh Flowers International which is next door to Vanilla House and realized that the back section of the shop wasn’t being used at its maximum potential. So I decided to take over Vanilla House and bring it inside Fresh Flowers and join them both. How have you changed the shop and products by opening the ‘new’ Vanilla House? We wanted to create a perfect space for our customers to find that special gift, and also make their shopping experience very pleasant. All our products changed as I became the new buyer, and we gave the shop a fresher and younger look. What is your favourite product in the store at the moment? Oh...our products are constantly changing, but right now I would say that my favourite is a pair of white porcelain antelope horns. I think most creatives dream of running their own shop space...what is your average day like? As I get to the shop I put the music on and light some candles, then I am ready to start my day. I always have a look around the shop, to see what has been selling, or to see which section needs a lift or a change. Every now and again I change the windows, or bring down some pieces that are on a top shelf. This is done when I’m free which thankfully is not that often, besides that I’m talking to customers, listening to their gift needs, wrapping, doing the books, and all that not so fun admin stuff. What do you enjoy most about the process of picking products for the shop? That is definitely the best part of it all! I love sourcing new suppliers, looking to some inspiration in magazines and on blogs. The trade shows are mind boggling and very tiring but I still enjoy visiting them. When I see a piece or product the first thing I think is if I would like to be given it, then if I was buying it who would I give it to, if I succeed on those answers that piece is definitely going to the shop. Gabi is being super sweet and is giving away this cute hippo note holder! Mmm...think I need her for my desk! 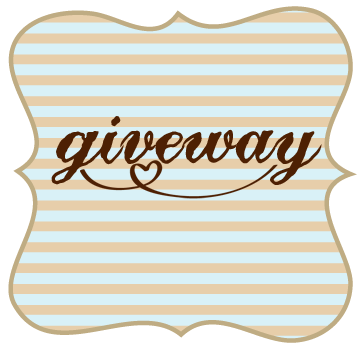 To win you need to like the Vanilla House Facebook page or you can become a follower of the Vanilla House blog. Please mention which you did by leaving a comment on this post. This giveaway is open to anyone.